It is really blissful to sit in front of the heater and feel its warmth. Not just after a shower, your heater is going to be so restful when you feel icy cold after the heavy traffic commute. There are also people who turn on the heater overnight while asleep. Are you among those who use heater often? 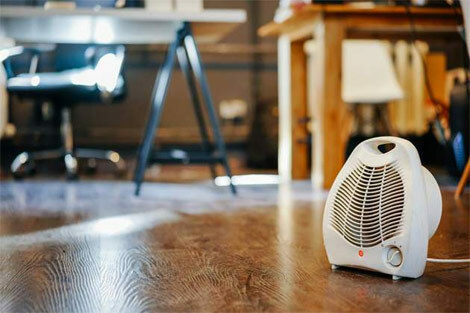 If you perhaps depend on indoor heaters to feel the real warmth, here is something you got to check out – and it’s not good for you! Do you know why? As you turn the heater on, the hot air out of it will wick away the moisture present in the indoor air. So, it basically dries out the air which in turn will cause itchy skin for you. The next big thing is the harm it does to infant skin. Infants have got very sensitive and tender skin which should not be exposed to such excessive heat. Suffocation is once again the cause of taking away the moisture off the indoor air. Those who suffer respiratory issues will feel even more suffocated and uneasy while switching on the heater. For this, you will need a full bucket of water placed inside your room. Also ensure that the ventilation in your room is good, especially while using heater. Say, you turn on the heater. When you are inside the room, you will feel comfortable. And when you step out of the room, your body will experience a sudden change in temperature to which your body cannot easily get adapted to. This will ultimately make you sick. As you get constantly exposed to such heat, there are possibilities of your skin getting burnt. Particularly for infants and elders, such burns are very likely. You may use heaters, but do not overuse it. Make sure not to place any object over the heater even while it is not being used. When you use the heater for longer hours, place a bucket full of water in the room. Also make sure not to sit too close to the heater. Never make use of power cord extension box to switch on the heater.